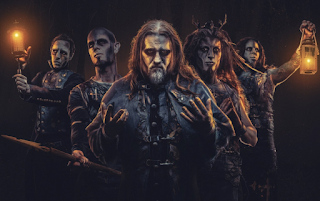 Powerwolf Release Video for "Demons Are A Girl's Best Friend"
POWERWOLF- Germany's most successful band have just released the official music video for their new very first song "Demons Are A Girl's Best Friend". The song is taken from the new album "The Sacrament Of Sin" which will be released worldwide on July 20th 2018 via Napalm Records. Watch the worldwide exclusive video premiere for "Demons Are A Girl's Best Friend" via EMP: http://smarturl.it/powerwolfEMP.